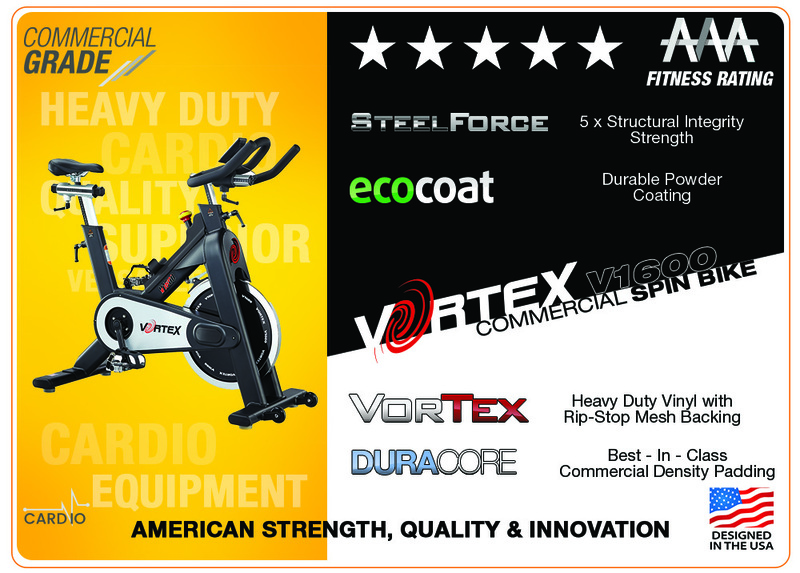 The Vortex V1600 Spin Bike is packed with features. challenge you beyond your fitness goals. Best-In-Class construction, innovation and safety standards. training in the privacy of your own home. Unsurpassed innovation, quality and design in its class. wanting gym quality for private home use. effective way to meet your weight loss goals. 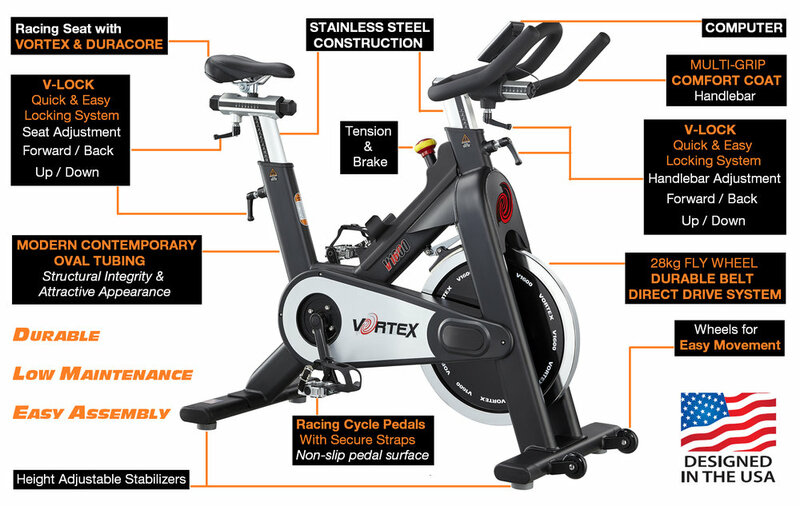 warranty information The Vortex V1600 Spin Bike comes with a lifetime structural warranty and 1 year replacement for all moving parts and electronics when used in a commercial environment. I've had this spin bike for a little over three months now and absolutely love it! Great quality and was competitively priced by Gym&Fitness. Initially I found the seat a little uncomfortable, but I am used to it now. The bike shipped quickly and Gym&Fitness had excellent customer service - highly recommend! Only real criticisms are that a more comfortable, perhaps wider seat, would benefit more people, and the handle bars could have had a higher dependability. A brighter screen would also be beneficial.